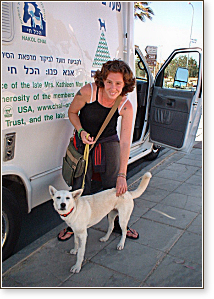 Hakol Chai's mobile clinic has been performing spay and neuter surgeries in numerous locations throughout Israel. 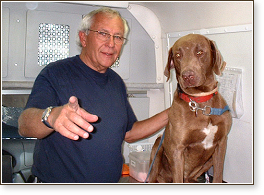 Below are some photos of the clinic in action: our staff and just a few of our many patients. 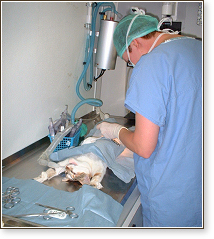 Left: Dr. Levine at work. Right: Dr. Levine neutering Panda. 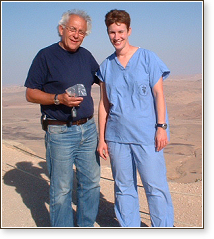 Left: Amnon, our driver & assistant, with Dr. Levine. 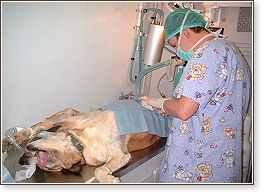 Right: Dr. Levine at work on Bonny, who is eight or nine years old. (Bonny lives with Dvora – see also Samba and Braha). Right: Amnon and Perach, a sweet three year old. Fonty got an honorary degree from the clinic for being the cleanest patient who ever visited us. 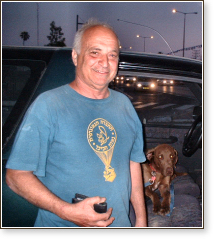 Amnon, who has an obsession with cleanliness, was thrilled when he smelled her. Fonty with her Dad. Dvora and Braha (see also Bonny and Samba). 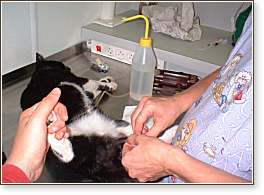 Braha was a candidate for spaying. 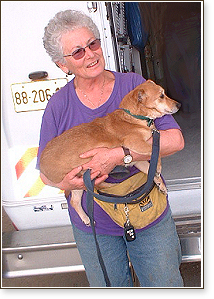 However, when Sarah performed a routine test on her, she found that the dog was suffering from kennel cough. We decided not to take a chance and to operate on her another time. Sarah gave Dvora a prescription to treat Braha's illness. 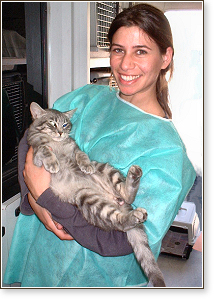 Yafit, our veterinary assistant, with Toy. Samba is a mixed Doberman. 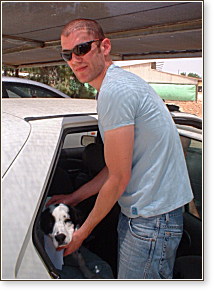 She was abandoned at a factory near Kibbutz Dvir. 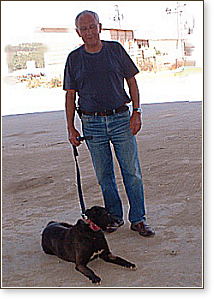 Dvora Reshef, who works there and is already taking care of 14 other dogs, adopted her too. Samba has a big scar on her back and very sad eyes. 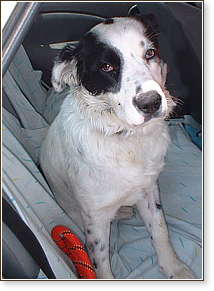 She has a great personality, and she recovered quickly from the operation. Shira and Kami, seven months old.